Linda was first compensated for her writing in 5th grade when she designed and wrote crossword puzzles for the class. Mr. Calen printed them up on the mimeograph machine and gave her extra credit for all her hard work. It’s been downhill from there! Linda’s fiction publishing credits include numerous magazine articles; a mystery novel, Second Time Around; and a short short story, Mama. She is currently at work on a mystery novel about a really nasty gaslighter. Linda is also widely published in the insurance industry and in nonfiction; just click the “Insurance” link above for more details. As a long-time member of Mystery Writers of America, Romance Writers of America, and Sisters in Crime, Linda tells anyone who will listen just how supportive and generous these organizations (and their members) are. 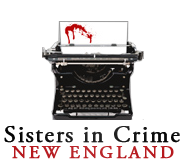 She served as president of the New England Chapter of RWA for 4 years and is proud to join the ranks of those who have attended the New England Crime Bake.